Gaelic Psalm Singing is a unique music form. The Precentor must "give out the line" and then keep everyone together in the chosen tune. In common with all Celtic art forms, Gaelic music is embellished and intricate, the original tune being adorned with grace notes in a pattern individual to each precentor and congregation. The result is a tune quite distinct from the English, Scottish or European one on which it was originally based. Its lilting sound has been likened to the rising and falling rhythm of the sea as it washes up on the rugged shores of Scotland's Highlands and Islands. To those brought up in the tradition of Gaelic Psalm Singing, it is a deeply moving experience - an outpouring of the soul in the worship of God. From Volume 4 onwards, there are two tracks of Congregational Gaelic Singing and two tracks of Solo Gaelic Singing on Disc 1. 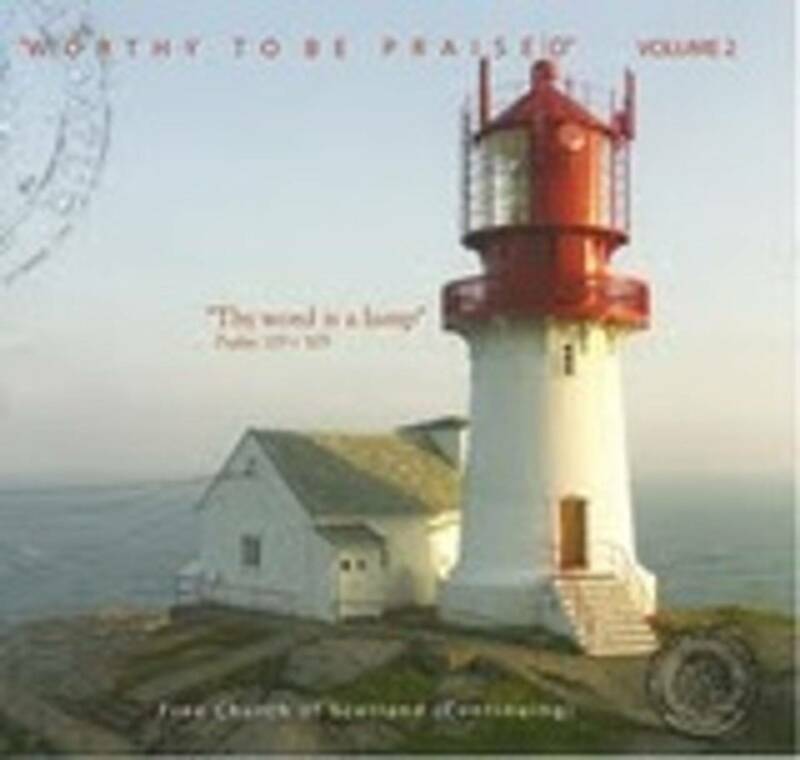 Listen to the following sample taken from Volume 6: Psalm 2 verses 1 - 2 to Bangor. 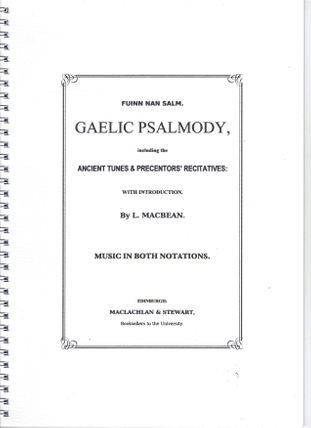 GAELIC PSALMODY: "Fuinn nan Salm"
"Gaelic Psalmody" is a recent reprint of the 1887 edition edited by Lachlan Macbean. It has "old tunes" such as French, Dundee and Elgin, as well as ones that were introduced later to the Highlands and Islands, such as Coleshill and Bangor. This is an interesting book because it has both staff and sol-fa notation, and both Gaelic and English words. The giving out of the line by the Precentor, originally done to help those who could not read, has developed into a creative recitative - examples of which are also in the book.